In what seems to be a tradition at its Global Press Conference (GPC), Acer today has unveiled several products to the world that able to command attention from anyone that sees them. One such product comes in the form of a gaming chair although it doesn’t exactly look and function like your traditional “gaming chair”. Frankly speaking though, calling it a gaming is quite inaccurate because it is more suitable to label the new Acer Predator Thronos as a gaming cockpit. Featuring the same design language as per Predator gaming desktops, the Thronos has a steel structure and several motorized parts. All the motorized sections of Thronos which include its overhead arm, footrest, keyboard & mouse area, and the recline angle of its seat which goes up to 140 degrees can be adjusted using the control buttons that are located on its left handle. Thronos also features an ergonomic motorsport-style chair at its core and able to support up to three 27-inch gaming monitors. 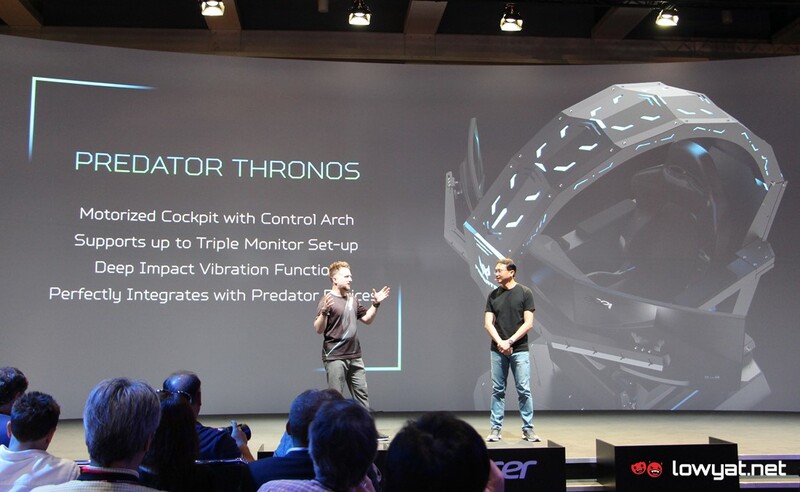 As interesting as it might look, Acer didn’t reveal the release date and pricing for its new Predator Thronos “gaming chair” at its launch event today though. 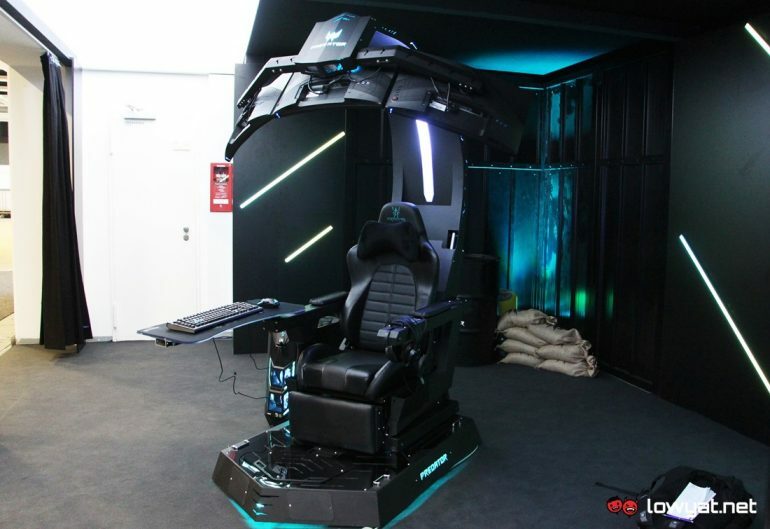 Obviously, don’t expect the 220kg 1.5-meter motorized gaming cockpit to come cheap.